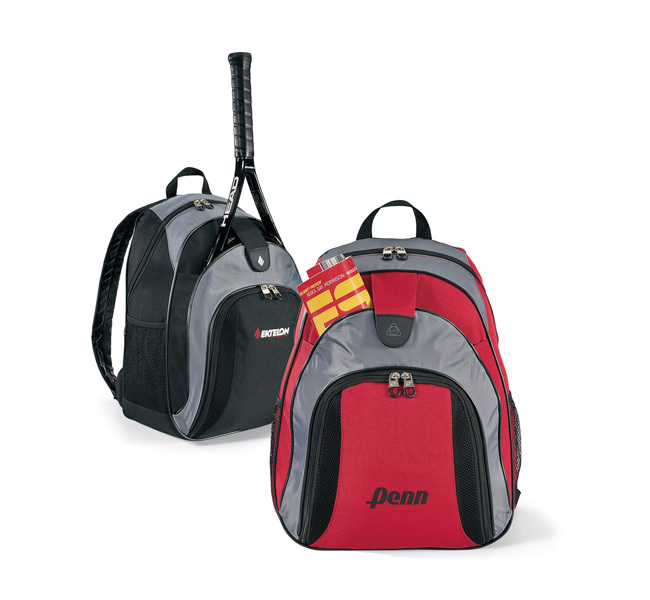 Comfortable multi-function pack has large front pocket for tennis racket or other sports equipment. 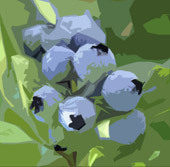 Standard Production Time: 2-3 weeks after your artwork is approved. Custom Logo Imprinted Courtside Backpack. • Dimensions: 12.5"L x 17.5"H x 6.25"W.
• Available in Black or Red combination. This is not a complete list; there are many other possible processes for which charges would apply. Overruns are an unavoidable part of producing most promotional products. Any and all such charges stated above and any potential overruns will be detailed to you in writing, and upon your approval production will begin. Front zipper pocket and mesh side pockets. • Adjustable, padded shoulder straps and top grab handle. Logomagic provides dual decoration option.